1800Granola | Hello World! Dr. GRANOLA® Here! 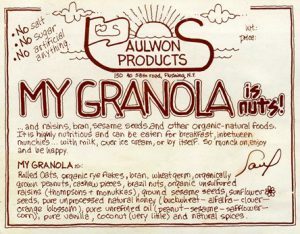 Somehow, when our world of granola started in 1971, I knew we would be here now. 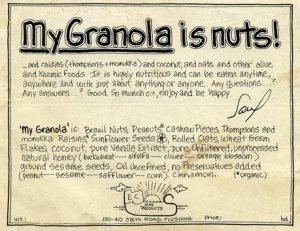 What’s REALLY fun & cool is, after all these years, I still have a profound love for Everything Granola. And, after 45 continuous years we’re still living, and sharing our dream & vision with others. 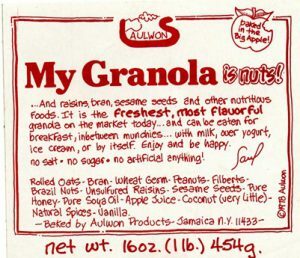 And … the world of granola is bigger, better and more fun now than in 1971. Over the years we have watched and participated as the granola ‘market’ evolved into the granola ‘industry’. What a journey! Stand up and give yourself a hip-hip-horay if you love granola! Any granola! Whatever-it-is granola! Top It Off … With Granola! • View bake your own granola videos …and a whole lot more. More fun than Soupy Sales meets Pee Wee’s Playhouse. I had a vision of this moment back in, oh 1971. And here we are coming to you via technology that who knew even existed back then when having a push button ‘princess’ phone was the cat’s meow. Our brother & sister granola loving millenials will now have to ask us to explain our lingo … “What is ‘the cat’s meow’”? • If you’re ‘Still The One’ name any one of things you are still doing. • Where did Canned Heat say they were going to get away? • Radio legend Pete Fornatelle had a Sunday morning radio show on WNEW-FM. What was the name of the show and the song (name & group, please) that always started the show? We have an incredible line-up of news, new granola products, discounts and money saving granola specials, the ongoing search for the origin of granola and much more. 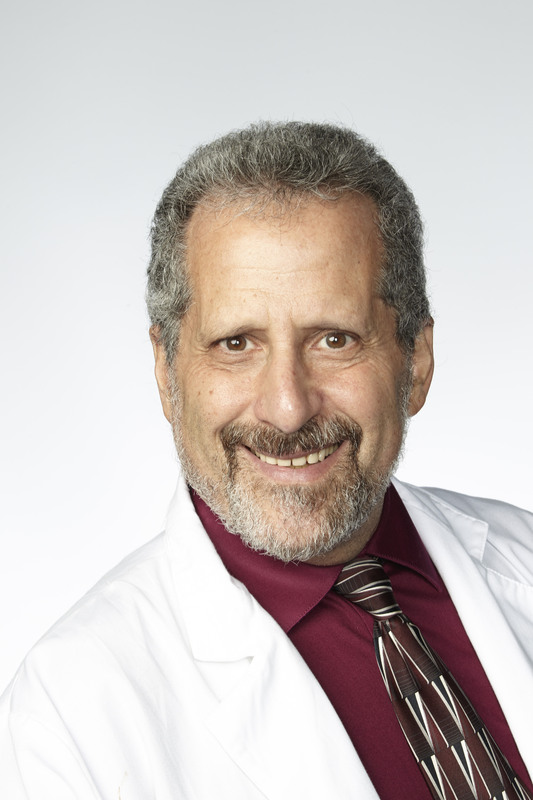 So sign up, check in, tune in and turn on to … Ask Dr. GRANOLA®, sponsored by 1-800-GRANOLA.com and SOON SOON SOON to be carried on the Dr. GRANOLA® Health Show, on You Tube and Granola.TV.